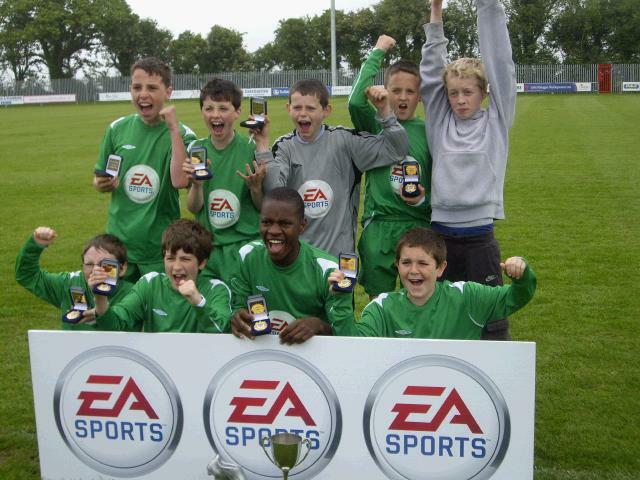 Congratulations to St Patricks BNS, Castlebar who won the C section of the EA Sports FAI Schools 5-A-Side National Finals competition for larger schools, which was held in Leah Victoria Park, Tullamore, Co. Offaly. The squad consisting of James Gallagher, Conor Ludden, Kieran Padden, Sean Ivers, Darragh Coll, Dylan Ralph, Michael Sweeney, Noe Baba and Kevin Canning captured their All Ireland Title in competitive victories over St Declan's of Waterford, St Joseph's of Gorey and Scoil Iosagain, Buncrana respectively. Congratulations to Noe Baba who won the award for player of the tournament with a total of 10 goals for his side. The boys were coached by Harry Canning and Des Cogan of St Patricks. Well done to all of those involved on a wonderful achievement. 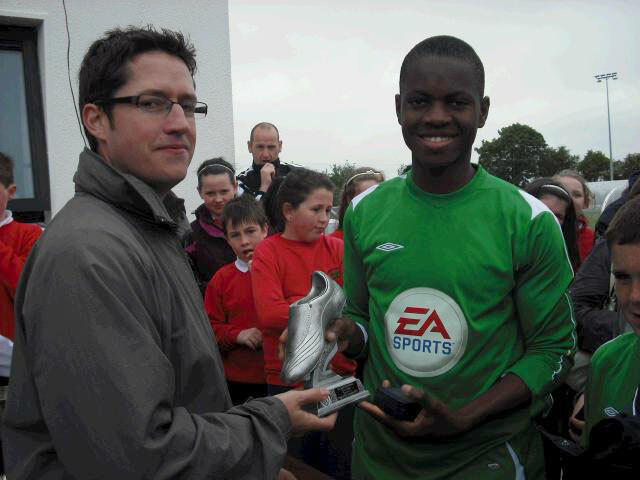 Noe Baba who wone th award for Player of the Tournament with a total of 10 goals for St. Pats! 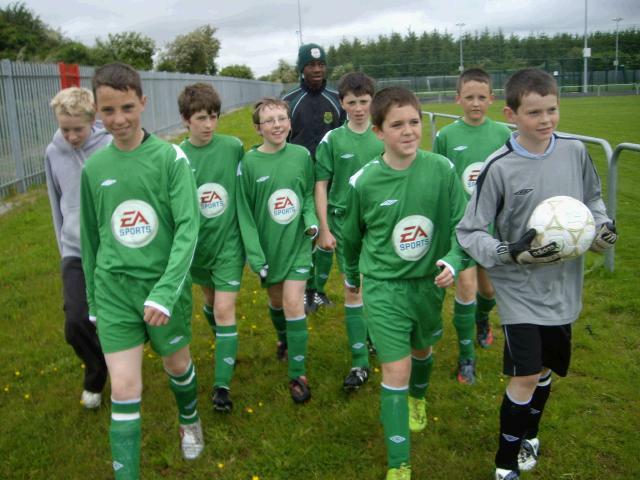 The boys were coached by Harry Canning and Des Cogan of St Patricks.